This is one of those topics I wanted to discuss for the longest time. It's something that I've always pondered and never could quite figure out. Recently, I did a post about a new channel targeting African Americans called 'KIN TV'. Honestly, I expected nothing but positive feedback, but that's not what I received. I thought people would be happy that African Americans were taking up the entrepreneurial coat of arms and instead of waiting for someone to create something for us decided to do it ourselves, but that's not what I received as a response. No not at all. A lot of the responses I have received, whether it be through email or on Facebook, was why did black people feel the need to separate themselves from other groups of people. Why do black people need channels like BET, TVOne, BounceTV, or KIN TV for that matter? And before you ask, yes these people are all African Americans that are asking these questions. These are the same people who question the continued existence of HBCU's and other programs that specifically target African Americans. So the question I have to ask is why are these people so threatened by things that are specifically for an African American audience or consumer? Has this idea of assimilation made some African Americans unable to appreciate the inherent differences that make African American culture so special? And for this reason, these channels should exist. Why is it okay to have channels like Telemundo and Univision for Spanish speaking people, but the thought of something designed for African Americans is offensive? There are newspapers and television channels for Asians as well as Jewish people, but yet we choose to malign anything that is slanted towards us. I don't hear anyone ever say that a college like Notre Dame shouldn't exist even thought it's a Catholic college and please don't even get me started on Brigham-Young University (BYU). You would be hard press to find a Mormon to say something against this institution of higher learning. But yet when it comes to the tearing down of an African American institution, you don't have to go very far to find a black person who is willing to participate. It's as though we take some pleasure in our own self hatred. We have been feed so long the constant meal of inferiority that some of us are actually starting to believe it. So anything targeting black people we immediately believe has to be inferior even if it's not. I believe this mindset is the very reason why someone like Uncle Herman Cain is comfortable going on television and telling the world that Black People are 'brainwashed', but yet when it comes to Rick Perry's hunting camp he chose his words carefully. He was comfortable throwing people who looked like him under the bus in order to advance his agenda, but yet he became cowardly when it was time to call out an obvious wrong. Well I will speak on it. I have argued both sides of this topic. I will say that my overall preference is to be "included in" and not "separated out." From a business perspective, I have no problem with addressing the needs of a particular market. There a some unique needs to the black population and they should not be overlooked. There are aspects to our culture that I think should be embraced and celebrated by our community and outside of our community. History gives a clear explanation as to why we needed our own schools, businesses, networks, etc. Because progress has been made, the question to me becomes how do we become more inclusive? Our current setup does not really allow for others to come in and many times keeps us in a box. For example, black actresses and actors usually get most of their work when the target audience is black. Why should they be limited? With all the imagination and creativity in tv and film industry they cannot create a project with a diverse cast and crew that will appeal to a diverse audience? Not only are these actors limited, their work is undervalued as if it does not require the same level of skill to produce a "black" movie. To me that is the danger of things remaining separate. Our work is usually undervalued and does not get it's due recognition by society at large and the individual fields that we work in on the whole. My next comment revolves around the idea of us being more open. I think we put ourselves into a box many times by having definitions of blackness. For example, my colleagues who happened to be black and I were on a road trip listening to my playlist and a country song came on. Of course, I was teased about it and they really wanted me to skip it. No big deal in the end. But we do shame each other when we like something that is not deemed "black." I think we need to embrace the diversity within our community. Many times the programming that is targeted to us is awful. We all know of examples of that. When that happens, I consider it insulting. Why should I support such endeavors? I get a little gun-shy when I hear about certain projects because I wonder if I will once again walk away insulted because what they consider to be for black people does not relate to my experience as a black person as well as other black people I know. I just don’t know where to begin, it just really amazes me that in 2011, Black folks are still not ready to embrace their blackness, and stop the madness. It is time for Black people to realize that “We” limit ourselves and “Our” own existence. We are limitless people and our experiences are vast and valid. We need to recognize this first, and then help the rest of the world to recognize it. We are our own worst enemy. We have been programmed in this society to think that if we do something for ourselves, then we want to be separate. Hear me loud and clear people, WE DON’T WANT TO BE SEPARATE, WE WANT TO BE EQUAL; equal time to show who we are; equal time to show what are struggles are; equal time to show what are struggles have been; we want and need the world and our young people to know we have many, many individual stories that have never been shown and never will be, if we wait on White media to tell them. We need our young people to know we were born into greatness, and we are great people. This is part of the “World’s problem”, not just the African American community problem; Black people not knowing who they are and not knowing where they came from, makes for a World full of Poverty, Self-hate and Crime. White networks constantly portraying us, as only as they see us, have the whole World f##ked up. The White networks will have you believe, that because they say it, it has to be true. 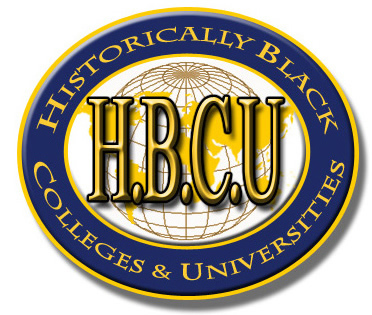 In the words of Bill Cosby “Come on People”, support and embrace your Blackness; support everything Black: HBCU’s, Businesses and most definitely the Black Networks. These institutions are uniquely yours, and there is nothing wrong with that, despite what “they” would have you believe. I swear black people hate themselves so much that if there was a pill that could turn them white the vast majority of them would take it. It's ridiculous. Wake Up People! Stop the self hatred! Self-hatred among the black community is indeed pervasive. But I don't know that all of the opposition to some of these institutions is merely because of self-hatred though. I don't necessarily believe that the answer to the woes in our community is to simply "have our own" stuff. There is nothing wrong with owning a business and serving the needs of a specific market. Other people make money off of us, so why not do the same? Become a business owner if that's what you want to do. But as I said, is that really going to solve the problem we are speaking about? I don't think so. Like you said,Savvy, there are alot of institutions out there. Mormons aren't ragging on BYU. Catholics aren't ragging on Notre Dame. What I would say to that though is those institutions have managed to transcend those aspects of their identity, such that they are not judged by them. They still hold fast to their traditions but they still have a broader appeal. I can't say the same for most of our institutions. Should we have broader appeal? That is debatable. I would say yes if you don't want to be limited and viewed as one-dimensional. When I look at Oprah, Denzel, the Obamas, and even others I know that are not celebrities that have excelled, they have been able to let their work speak for itself. They are still proud of their heritage. They do not deny their heritage. But they aren't one-dimensional. I have to say this is a pretty fragile question. It's fragile because their are so many dimensions to it and their is no one answer that can blanket it. For instance their are some "Black Owned and Operated" companies that feel because they are black owned we should support them despite their lack of quality and integrity of product. Then their are some black people that feel that because it's a black product it probably lacks the quality and competitiveness of it's competitor "so why bother". And still their is location. "Location, location, location, among other marketing variables. As in my case Location;(before Princess Tiana)In 2007 I was inspired by my two daughters adulation of a Disney Princesses billboard that did not reflect the beauty, and heritage of our culture. So I decided to research, and create with help a product that would genuinely look like them and help build SELF-ESTEEM in our Little Princesses. It took some time but LOCATION(Atlanta, GA) supported and supports our efforts to bring home our first collection of Princess Dolls. Location! Location!! Location!! !